Combating Europe’s major issues in different fields, is the reason behind most if not all EU Projects. With every new project, implemented or completed, the EU gets one step closer to the completely solving issues like, poverty, migration, and unemployment. There is no way to categorize major issues, from best to worse. Each problem is equally important and needs to be fixed. However, in the case of unemployment, although major steps have been taken through the implementation of EU projects, the rates are still high. 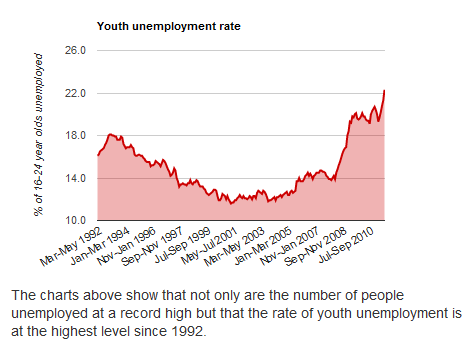 The rate of youth unemployment in the EU still remains above 22%. Even though actions are being taken, there does not seem to be any improvement on sight. Unfortunately, around Europe, there are very few job and internship opportunities. And this is a major factor for youth unemployment. Combating the phenomenon means that we are going to have to go to the root of the problem. Solving the lack of job positions and internships. At the same time the EU needs to make sure that young men and women are properly trained in order to be able to support the job positions that they might be after. The EU project, SWIRL is one project that focuses on solving the problem, not by just teaching young men and women new skills and competencies but also gives them the opportunity to take initiatives and even try to make things happen for themselves. Self-employment is one of the best ways to combat youth unemployment. This initiative can give young people the ability to further understand their skills and competencies and exactly how they can use them to either build their own business or to build collaborations. Working for a company is not the only option. This is what the SWIRL project is trying to teach young people. At the same time, the project also focuses on the trainers themselves. Through the many researches that have been conducted over the years, training the trainers is equally important as training the trainees. A trainer must be able to perfectly teach young men and women all these new skills and competencies that will give them access to good work opportunities. The key is to help teachers understand that they need to change their mentality when it comes to the traditional way of teaching. Things are constantly changing around Europe. Industries are evolving and so should the teaching methods and the new skills and competencies. The partners behind the implementation of the project include long-time professionals on the field of EU projects. Bridging to the Future LTD has taken part into many Erasmus Plus projects. The Institute of Entrepreneurship Development, one of the other partners, has a long-term experience in entrepreneurship, an aspect that is essential for every EU Project. Finding employment nowadays is extremely difficult. Young people all around Europe are struggling. Whether they have received proper education or not, they still find themselves in the unemployment pool. The main reason as to why that is, of course, is the financial crisis. When that started various more problems were brought to the surface. If we take under consideration the fact that for people with proper education it can be difficult to find employment then we can safely assume that people without proper education have it even worse. Not having what some call proper knowledge on something most likely means that you are not going to be given the opportunity to have any kind of chance for a career. Now in some cases, this is understandable. You cannot be a businessman without at least some basic knowledge regarding businesses. You cannot be a part of a modern business of you do not have some digital skills and competencies. And unfortunately, nowadays, many people find themselves without modern digital skills and competencies. Perhaps they do not know how important they are. Perhaps they did not get the chance to acquire these skills. Whichever the case, it has become a clear issue for the European Union. Therefore, over the past few years, more and projects have appeared, combating youth unemployment and focusing on teaching people new skills and competencies. The thing that is necessary for them to have a chance of getting a good job and proper career option. SO-VET is such a project. 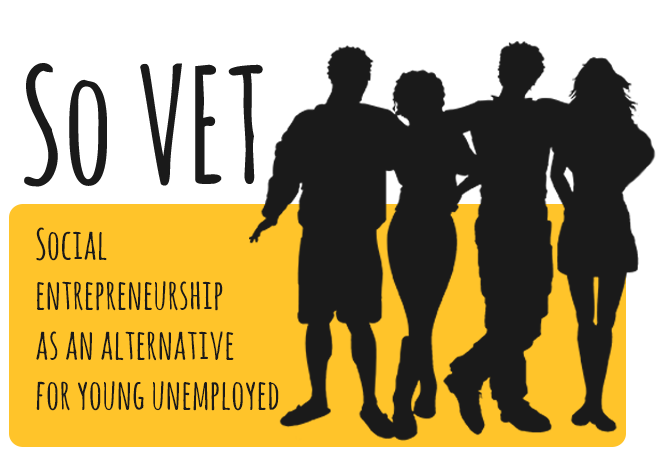 Implemented by an experienced consortium, SO-VET was able to give young people the opportunity to get the education they needed in order to manage and find employment. Now the most important part of this project is not just the opportunity to get a job. This project actually gave people the opportunity to train new skills and competencies that will help them keep up with the rapid changes that occur, daily, on the labor market. The project was implemented by a strong consortium of partners. BTF and IED, as partners in this consortium, used their expertise on entrepreneurship and youth, expertise acquired over the course of many years, to make sure that they would be able to create high-functioning, helpful material for all the young people that took part in the project. By paying a visit to the project’s website or the website of the organizations that implemented the project, you will be able to find more information on all the material that was created. Material that is still available to any interesting party, for free. European projects have always been and will always be important for the European Union and will have a great impact on the European Society. European organizations are ready to step up and take the challenge. Youth unemployment is a major issue that needs to be combated and the European Projects are the right way to do that. The ‘’Three Question Model’’ (T3QM), is an innovative project that provides a new way for adult educators to provide high-quality education to startup and social startup founders, based on their needs and goals. The aim is to help them make their business become sustainable and to enable a wide variety of aspirant entrepreneurs all from different backgrounds of needs that are not able to get traditional support in order to develop their idea to an enterprise by approaching business development as a practice and not just a theoretical exercise. 1)	What do you sell? The impact this project can have on businesses and potential startuppers is massive. These three principal questions are indeed enough to help startup founders understand their idea and their business better. But this is not the only result this project can have. A special fact about projects focused on entrepreneurship is that there is always a deeper effect that has to do with the social impact of the project. When entrepreneurship is involved there is always a social impact. When it comes to the 3QM project, the impact is massive due to the fact that the three questions that can be used to form a business, could, at the same time, be used to create a social enterprise as well. Now the creation of any social enterprise has a massive social effect. If more aspiring entrepreneurs and startup founders focus on creating a business that could at the same time have an active role and effect on society then, immediately, the tide will turn and the scale will lean towards the society and not just the profit of the labor market. By being the founder of a business that is active or wants to be active on a social level, aspiring entrepreneurs are presented with an amazing opportunity. The opportunity to build a new social network that could easily be turned into a professional one. This is most likely one of the biggest impacts this project can have on aspiring entrepreneurs on a social level. A business with a social impact is bound to gain some recognition. Being socially active is a must for every business and startup. As an aspiring startupper, it is your responsibility to make sure that your business will be accepted on a professional as well as a social level. Greece has been through many challenges over the past few years. The Greek economy is now, ever so slowly, growing again. That has been achieved through the birth of many startup companies. Although the crisis hit hard, many tech entrepreneurs remained in Greece. They used their expertise in their field and their innovative ideas to create startups that will, in the future, most likely be part of the backbone of the Greek Economy. Augmenta: Augmenta is an agritech startup that offers an AI-based solution comprised of a hardware device and a web platform, that scans and analyzes crops. Fieldscale: A startup that designs and develops simulation software solutions for electric design and analysis, enabling companies to reach unprecedented simulation speed and massive cost savings. Nummyspay: A subscription management and credit card processing platform that helps online businesses save money and time. Ingredient: It is a mobile application designed to inform users about the toxicity of various food ingredients as well as cosmetics that will allow them to make informed decisions about their lifestyle. InAccel: A company that develops cloud hardware accelerators that increase the performance of different computing programs and reduces the cost of the entire operation. SealSmile: An online platform that is able to offer a large variety of different products and deal at very competitive prices from that 60 different popular Chinese online stores. Syncbnb: An award-winning startup that provides a calendar synchronization tool to help owners and managers of short-term rental properties to increase their revenue by synchronizing their bookings from multiple rental platforms. These 10 Greek startups are those that prevailed in 2018. Despite their hardships, Greek entrepreneurs try their best in order to succeed at what they do and bring profit to their companies and their countries. What more can we expect for them in the future? In 2009, the European Commission launched a successful program called “Erasmus for Young Entrepreneurs” which enables new entrepreneurs or entrepreneurs who started their own business in the last three years to gain valuable skills and experience beside an experienced SME’s founder. Since then until today thousands of entrepreneurs have participated in this program. “Entrepreneurship is a woman 2”(EIW2) is a Consortium of eight European partners which offers you the possibility to spend from one to six months in another country in order to gain experience and discover your market and your opportunities abroad. This Consortium has extensive experience in international projects, cooperation and entrepreneurship. They have a powerful face-to-face and online training for their entrepreneurs and a large number of companies to carry out stays abroad. The overall objective of the EIW2 is to ensure the wide promotion of the programme to recruit at least 160 entrepreneurs and give a positive vision of the EU and the opportunities offered by the European Single Market. •	EUROPOS SOCIALINIS VERSLUMO UGDYMO IR INOVATYVIU STUDIJU INSTITUTAS (ESI) from Lithuania. •	BRIDGING TO THE FUTURE LTD (BTF) from United Kingdom. •	STATE ORGANIZATION REGIONAL FUND FOR THE SUPPORT OF THE ENTREPRENEURSHIP OF ZAPOROZHYE REGION (RFSE) from Ukraine. These organizations act as Intermediary Organizations (IOs) which help you to find an entrepreneur corresponding to your needs and objectives, depending on what you want to improve and in which sector you want to evolve. Erasmus+ project under the name Hi4CSR (Harmonization and implementation of EU CSR Directives) started in October 2016 and will last until April of 2018. It is a transeuropean project established by eight European organizations renowned in the field of CSR - RRiF-plus Ltd. (Croatia), The Croatian Institute for CSR – IDOP (Croatia), Abis – The Academy of Business in Society (Belgium), Ekvilib Institute (Slovenia), Global Impact Grid (Germany), LUM University (Italy), Pontis Foundation (Slovakia) and Bridging to the Future(United Kingdom). Main objectives of the project are adult education, exchange of good practices between project partners regarding harmonization and implementation of EU Directives as well as development of the first CSR Guide which will cover topics such as non-financial reporting, eco labelling, water framework directive, circular economy, food donations and the employment of people with disabilities. During October, Hi4CSR consortium was preparing for the fourth Learning Activity which will take place from 13th to 17th November in Bratislava during which partners will also attend the CEE CSR Summit, largest and oldest CSR event in Central and Eastern Europe. · Food Recycling… Am I bothered? · EU Ecolabel celebrates 25 years of life! You can find additional information about the project on the www.hi4csr.com website, write to the consortium at info@hi4csr.com or connect through our social media pages: Facebook, Twitter, LinkedIn and YouTube channel. The I-STEP project was initiated in October 2016 by a consortium of organisations from across Europe in answer to an Erasmus+ KA2 project on Cooperation and Innovation for Good Practices. 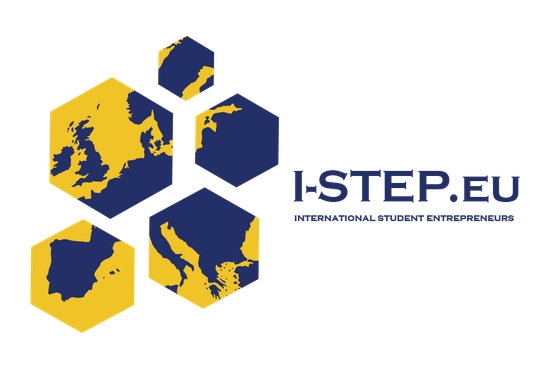 I-STEP promotes work-based learning as students will actively internationalise their own in-school start-up enterprise by investigating the possibilities for exporting and cooperation with their peers in other partner countries. They will start-up an ACTUAL company, have ACTUAL contact with peer students in the partner countries (joint owners of the company or agents), and ACTUALLY sell products. The project will develop a practical, hands-on guide for teachers that explains how to internationalise entrepreneurship in VET education and calls to action (O1) and builds a strong network supported by an online community (O3), both on international level as nationally/regionally in all partner countries. This will safeguard the projects' impact even after the project has finished. The I-STEP programme will be developed and implemented in close collaboration with partners, companies and VET providers. The teacher manual (O1) will include guidelines and tips on how to set up such a network, again safeguarding long term impact. Students will learn about internationalisation in entrepreneurship (O2), visit their peers in the partner countries and actually start-up a company together. They will set up a new company with fellow students in the partner countries or discuss formulas for agents. Learning about entrepreneurship and at the same time developing their entrepreneurial competences by setting up a company in an international context forms a solid basis for innovation. When students from different nationalities come together to share knowledge, experiences and learn from each other’s cultures, innovation is bound to be created. Students will maintain contact during the entire period the entrepreneurship programme runs and, if the company is a success, potentially even beyond the duration of their school year. In the development of all Intellectual Outputs (Os), the use of innovative and learner-centred pedagogical approaches is top priority. 1) The platform will serve as an Open Educational Resource(OER) and publish all developed Outputs. This ensures that VET teachers and all other interested parties can download the materials developed and legally and freely copy, use, adapt and re-share them. By uploading all developed Outputs on the I-STEP platform, they will be offered in the public domain with an open license. 2) The long term success of this project is partly dependent upon the creation of an online community of all parties involved in the project, i.e. the project partners, VET students, teachers, managers and board and stakeholders from government, research and business. As with most software development, the community is not just users/consumers, they are also an integral part of the product development, improvement and evolution. The community plays an important part in the marketing and wider dissemination of the project via social media and sharing. The community will maintain the international network after the project has finished. 3) The platform will have a file sharing area for groups of teachers/students to support the alpha and beta testing activities the Outputs. This file sharing area will also facilitate communication between students and teachers and thus serve as communication tool. Participants can engage and support other participants. We have been allocated a budget of €5,000. The development of the platform will begin in April 2017 and will continue through to December 2017. The implementation of the platform will begin in May 2017 and to continue through to August 2018. Whilst evidence of previous work is not mandatory, if you would like to attach examples of work your organisation has completed in the past, it will be considered alongside your application. The role will require close liaison with Bridging to the Future throughout the duration of the development and implementation of the platform. On the 5th April 2017, Bridging to the Future ran a workshop at the University of Cardiff, aimed at developing young entrepreneurs and creating youth hubs to facilitate the growth of new businesses. Additionally, there were interactive sessions, designed to help develop those skills as well as highlight their significance. 1. First, attendees were asked to reflect on their own strengths and discuss a time they took on a position of leadership and what the results of that were. 2. Secondly, we focused on Cardiff and its unique strengths given its location, size, population and the organisations based there. 4. Finally, they were tasked with designing the path to this future, using their own strengths and the strengths of Cardiff at present. If you’d like to know more about the Eurohub project, Appreciative Inquiry, or would like a copy of the report when it is finished, please email ja@bttf.org.uk. It's widely believed that the best way to learn about business is to do it. However, when it comes to business education, there is still a big focus on theory rather than practicality. Addressing this issue is one of the key objectives of the I-STEP project. Our research indicates that VET schools in the countries of partnering organisations design their own entrepreneurship courses, including internationalisation elements. Additionally, entrepreneurship and internationalisation are solely taught in business study programmes rather than being interdisciplinary, despite there being a considerable amount of interest from students in other programmes. Entrepreneurship contributes a significant amount of wealth to economies of individual countries, including a significant amount of jobs created by entrepreneurial individuals. Many of these entrepreneurs use skills learned from other academic disciplines such as design and technology and STEM subjects to name a few. Therefore, there is clearly an advatange to including entrepreneurship elements to traditional subjects at the school level. However, it will be delivered in a way that is accessible for all, regardless of previous business experience. In addition, the project will launch an online platform that will act as an Open Educational Resource, a file sharing service, and a forum for members to interact, as well as developing relationships that will lead to the creation of businesses and transnational trade. Vocational training, credible coaches, flexible programmes which meet the actual needs for entrepreneurs, practical training and the availability of mentoring and coaching are all vital to effective financial literacy for start-ups, microbusinesses and early growth businesses. In part 1 of these short blogs on financial literacy for microbusinesses and start-ups, the need for effective financial management was outlined. In this blog we look at some of the characteristics of successful and effective financial management programmes and training for entrepreneurs, start-ups and microbusinesses. The need for such financial management was a prime force in Bridging to the Future joining a EU partnership of organisations to develop a response to this need. This project is called INVEST (http://www.investproject.eu). Programmes need a clear mission and vision which is focused on the learner rather than the educator/trainer. The material, topics and method of delivery must all be tailored specifically to its audience of entrepreneurs, start-ups and micros. Programmes should be supported with high quality, learner orientated resources. Financial literacy training needs effective delivery by credible, respected trainers and coaches – ideally fellow business professionals who instinctively understand the challenges facing entrepreneurs in the current economic climate. that enterprise-support interventions are best designed as either short, bite- sized courses or long, comprehensive programmes of study. But significantly, the Cho and Honorati study also challenges a great deal of policy thinking by demonstrating that formal financial literacy interventions are actually among the least effective ways of improving business prospects in developing countries, even when accompanied by an actual offer of funding. Meanwhile, vocational training and general business training were shown to be among the most successful, especially if accompanied by an offer of counselling or mentoring. Vocational training programmes coupled with financial assistance also led to strongly positive outcomes. Combining the findings of Cho and Honorati (2013), Fernandes et al. (2013) and Drexler et al. (2013) suggests that entrepreneurs may struggle to absorb financial education that is abstract or not instantly applicable to their businesses, and may subsequently forget this faster unless subject to continuous or repeat education. Therefore, it seems clear from the ACCA Report that rigid curricula for financial literacy for entrepreneurs should be abandoned. Firstly, entrepreneurs and professional advisers should work backwards from real business plans to determine what knowledge is needed and what rules of thumb or performance indicators are most appropriate. Secondly, coaching programmes should develop ‘just-in-time’ interventions that focus on the truly ‘teachable’ moments when entrepreneurs lay out their plans for their businesses; not the ‘reachable’ moments when they realise they need a loan. INVEST will be guided by these influential findings as well as by the actual experience of its partners and will develop a practical, bottom up approach to financial literacy which will support entrepreneurs to make higher quality decisions and will be crucial in successful business growth. Perhaps it’s the term itself that is not user friendly or engaging? Perhaps it is the connotations of theoretical practices rather than the realities of starting and leading a new business? Whatever the reason, it is clear that ‘financial literacy’ tends to be neglected by many micro-businesses and start-ups and yet there is strong evidence to show how crucial it is to business success. To add to the seriousness of the ‘financial literacy gap’, there is also a lack of credible, accessible and practical support, coaching and education within and outside of the European Union……and it is this gap which has fundamental and concerning implications for EU economic revival. In this two part blog, CEO Duncan Chamberlain, an investor in start-ups in the UK and Europe looks at the issue, and some solutions. The lack of such financial literacy support to start-ups and micro-businesses is all the more surprising given that financial literacy has a bigger influence on the resilience of a start-up than sector, age or the entrepreneur’s motive. Statistically, the drop-out probability of an average start-up project reduces by a third through good financial knowledge alone (KFW Research, 2015). The correlation between financial literacy and start-up resilience is clear: start-ups with better financial knowledge were more likely to succeed. In a study of start-ups by KFW Research in Germany, start-ups with good financial knowledge had a drop-out rate of 12%, but with poor financial knowledge, it was 21% (KFW Research, 2015). Indeed, specific financial literacy is more decisive in the success of a start-up than the general level of professional education. Despite this, access to credible, practical and relevant training and support is poor and even when programmes are available, the participation rates can be surprisingly low eg KFW showed that less than a third of new entrepreneurs took part in training programmes before or at the start of self employment. So, there might be not only a lack of appropriate programmes but also a lack of awareness of them or a lack of appreciation of their significance or a lack of confidence in what is being offered. Intuit published a study of small business owners, indicating that 40% of small business owners say they are financially illiterate – yet 81 percent handle their business' finances themselves (https://www.business.com/articles/financial-literacy-for-small-businesses/). Smaller businesses in the Small Office/Home Office (SOHO) category are very dependent on the skills and knowledge of their owners. Unlike larger companies, which can afford to buy in expertise, SOHOs need to try to cover all aspects of business from marketing, to operations, to sales to finance. SOHOs, often with no or little, financial experience and training, need to be financially literate in order to plan cash flow, make tax returns, calculate prices, and other such key actions. Thus practical, relevant and accessible support and training programmes which specifically are aimed at start-ups and micro-businesses would seem to be needed, especially with the increase in self-employment across so much of the EU. In recent years, UK colleges have shown impressive progress in developing entrepreneurship programmes in their schools. An increasing number of colleges have such a programme in place. In addition to this, the quality of the programmes is increasing and more entrepreneurship programmes are including competence based content and learning which is based on active learning. However, even though many colleges promote international experiences for their students, the connection between entrepreneurship and internationalisation is rarely made, and this is the case across the EU. Wouldn't it be great if students that work on entrepreneurship, were given the opportunity to work with foreign students and explore possibilities for internationalisation? This is exactly what the I-STEP project plans to do. In September 2016, the I-STEP project (short for International Student Entrepreneurship Programme) kicked off in Groningen, NL. The project targets VET colleges in Europe with an existing entrepreneurship education programme for their students. The consortium will help those colleges add an international component to their programmes. I-STEP will do this by facilitating them to work together in schools in other countries. The project addresses the need for VET students to exploit the opportunities the EU market offers. 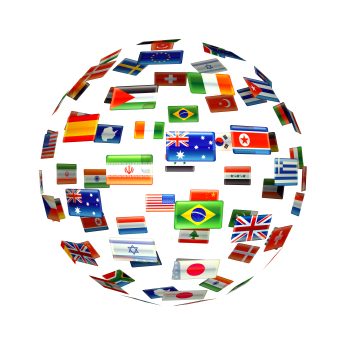 Internationalisation makes people more aware, more creative and more entrepreneurial. Through I-STEP, the students, while setting up their (virtual) business, will also learn how international business works, practice their language skills, learn about culture, exports etc. The programme will offer several different pathways, from working with an adviser in the export market to actually setting up an international company with students from another country. 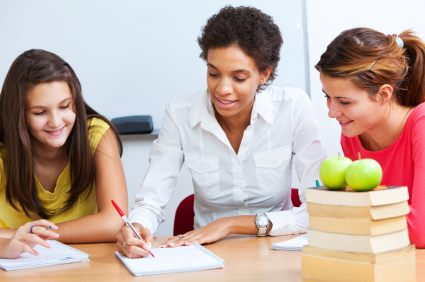 For teachers, I-STEP will develop the tools they need in and outside the classroom to support the students. We will set up an online cooperation platform for the students and teachers to work with their counterparts in other countries. The teaching material will be developed by an experienced and expert consortium of partners with a backgrounf in entrepreneurship and internaitonalisation support including two VET colleges, two H.E. universities, two incubators and a marketing and training expert. If you would like to keep updated, please follow us on Twitter or LinkedIn . We will be meeting again in May 2017 in Ireland! Bridging to the Future has just come back from Skopje, Macedonia, where we have been delighted to work with partners from across Europe in "So-VET: Social Entrepreneurship in VET Schools". The project kick off meeting was held in Skopje on the 30th and 31st January to enable youths across Europe with the leadership, entrepreneurial and soft skill capacities to become social entrepreneurs. This programme aims to develop Social Entrepreneurship in school curriculums across Europe as a solution for youth unemployment. Social entrepreneurship is quickly becoming a social phenomenon, because it combines the drive of the private sector but always with a social mission and a 'social way of doing business'. Social Enterprises solve local problems with local solutions. In this project, financed by Erasmus+, we are combining the know-how of VET, social entrepreneur and international development expertise of: Foundation Agro-Centre for Education (Macedonia), Institute of Entrepreneurship Development (Greece), Makro Management Development Consultancy (Turkey), Bridging to the Future (UK), JUMP (Italy), Instanbul Provincial Directorate of Social Studies and Projects (Turkey) and KTH College (Sweden). Together, the project wll create a clear curriculum and guideline for the future social entrepreneurs of Europe. On the 30th and 31st January each partner discussed their research of the current state of Social Enterprise as well as an in-depth analysis of comprehensive questionnaires and interviews with unemploted youths in their respective countries. If you would like to learn more, please find our website www.sovet-project.eu, or follow us on facebook or LinkedIn. We will be meeting again in May 2017 to discuss and finalise the curriculum! What is Economic Independence and why is it important? Economic Independence can be broadly defined by two main characteristics, choice and jobs. Choice enables people to make their own decisions and jobs give the financial freedom and skills necessary to ensure that choice is a successful one. Economic Independence can be gained by individuals, regions, communities and organisations. For an individual this could be an entrepreneur starting their own business, being their own boss and deciding on the direction of their business. For a community or region this could be independence from local government, having the freedom to create wealth, innovate and help overcome social issues. In the current economic climate, economic independence can help alleviate the pressure caused by high unemployment, particularly youth unemployment. Across Europe we have experienced unemployment as a result of the economic crisis and as a result of budget cuts our governments have, in some instances, failed to provide a solution. How can we help facilitate economic independence? We can help achieve this in three ways, through education, leadership and entrepreneurship. Additionally, there are a number of players who can assist this, schools, investors, start-ups, trainers and communities can all contribute to help spread Economic Independence. One key way we can do this is by better educating future generations, teaching them the skills and qualities they need to succeed in life. Schools play a vital role in this, expanding a child’s education to include more enterprising activities, where they not only learn new skills, but are given a platform to use them. However, this can also be done by private companies and individuals. Investors, trainers and start-ups can all help to create jobs and help facilitate economic independence. They can enable people to take the steps needed to become self-reliant by providing the support in the real world, through financial investment or mentoring. In addition, we can help bring together like minded people to share their experiences and ideas. Here at Bridging to the Future we are currently developing a way to do this. ONE1 is a global economic independence movement, bringing together people and organisations from across Europe, Africa, Asia and the Americas. It will be a movement for those who want to take action, with member driven content enabling individuals, communities, groups and regions to achieve economic independence. ONE1 will include an online platform containing webinars, English language services, member discussion forums, videos, and an action platform where members can come together to create solutions. This will culminate in an annual conference for members to physically meet, discuss key issues, learn from key speakers and work together to solve problems. Each year the conference will take place in a different country, hopefully giving every member the opportunity to attend. Membership will involve an annual fee of €125 to help support us and enable us to deliver the kind of service we want to provide and you deserve to receive. Through ONE1 we hope to enable anyone from around the world to pursue and achieve economic independence, as we believe this will create a truly equal society. The INVEST project is a two year European project, running from 2016-2018, which aims to provide young entrepreneurs with educational tools to help them make responsible choices regarding the finances of their business and personal finance. We will be inviting young-entrepreneurs to take part in the "INVEST WISELY" course and benefit from a flexible, but customised, training model which will deal with financial literacy issues in accordance with their specific needs to guide them how to make good financial choices. However, in order to define the contents of the course and appropriate delivery methods, as well as to properly understand the learning needs, we will be investigating current levels of financial literacy. The survey should take roughly 15 minutes, and all feedback would be highly appreciated. We’re happy to announce that we at Bridging to the Future are a project partner in the ‘‘INVEST Financial and forecasting models for entrepreneurs” project, which has competed successfully in the recent calls for proposals under the Erasmus+ programme. The project has been awarded €299,897 under the Strategic Partnerships for Vocational Education and Training umbrella. This EU-allocated funding will help support the development of a training model and tools to support micro enterprises and entrepreneurs, especially those pertaining to generation Y, to make responsible economic, financial and investment choices. About the Project INVEST Financial and forecasting models for entrepreneurs. The project kick off meeting was held in Malta on the 27th and 28thOctober 2016 as a Europe wide effort to build and boost financial literacy in micro enterprises helping them stay stable on the market, foster local economies and support further employability. The idea was raised from the shared experiences of its project partners and their analysis of the sector .The project goals will be achieved by the joint efforts of all organisations involved in the consortium, as well as third parties and stakeholders, through the development of specific tools addressing the specific needs microenterprises entrepreneurs. The consortium partners represent the different aspects addressed by the project: Mediterranean Bank Network (Malta) and Association EFFEBI (Italy) are organisations specific to the financial services sector -; Eurocrea Merchant (Italy) and IDEC (Greece) are organisations related the educational sector-; Bridging to the future (United Kingdom), Inqubator Leeuwarden (The Netherlands) and Malta Business Bureau offer different consultancy perspectives to business and entrepreneurs . Set to last until 2020, Erasmus+ merges seven prior programmes, with opportunities for a wide variety of individuals and organisations. Detailed information on these opportunities, including eligibility criteria, is available in the Erasmus+ Programme Guide. An indicative funding guide for some centralised opportunities is also available. One of Bridging to the Future’s approaches to achieve economic independence is SEEB (Social Entrepreneurs, Social Enterprises and Social Businesses). For us, SEEB is integral to economic independence through entrepreneurship, employment and education to achieve sustainable local development. What is the difference between an enterprise and a social business or enterprise? The key point is that a social business is still a business, and must therefore first make a profit. How they then use the profit is where the difference lies. SEEBs reinvest profits into local communities, give living wages to employees and create new approaches to deliver social good. Crucially, it operates ethically, makes money ethically and spends its profits ethically. In the UK, the most up-to-date estimates suggest that there are approximately 68,000 SEEBs contributing £24 billion to the UK economy. This could mean that perhaps 5% of all businesses in the UK are SEEBs — a very positive thing! In addition, almost any business can be a SEEB: here in the UK we have examples such as The Big Issue Foundation, the Co-operative Group, the Eden Project, Cafedirect and the John Lewis Partnership. These businesses have both a social and business mission and deliver social, environmental, economic or political good. Read more about SEEB and the Social Economy on Medium. Also, you can download our SEEB Presentation here (PowerPoint, 145KB). Job creation, training, micro-investment, economic productivity, economic growth, and equality through entrepreneurism and social innovation. Central London, with initial training in London and Birmingham. Also opportunities for travelling within the UK and internationally. Monday, September 5th 2016. Some flexibility is potentially possible. Friday, February 5th 2016, 4.00pm UK time. Bridging to the Future is a radical company which challenges and reforms existing approaches to organisational and individual productivity, job creation, economic independence, and economic sustainability. We have a formidable record in designing, testing and bringing to market a range of highly innovative and successful products including methods to support job creation and productivity. The work of Bridging to the Future varies from international programmes to local-scale interventions and training. Our clients are from both the private and public sector and from a range of countries e.g. The Netherlands, Greece, Lithuania, Italy, and Spain. The successful post holder will be a key member of our small team and will be involved in developing businesses, organisations, regions and communities, and will build a dynamic career. We expect polite, intellectually curious, ambitious, hardworking, friendly, professional, team-orientated, talented, and articulate colleagues who share our ambition to create a more dynamic business sector that is more productive, more inclusive, and more profitable, with a social dimension. The role will require aspects of research, project management, delivering consultancy, planning and delivering training, innovative thinking, and an interest in dynamic change to the way individuals, organisations, communities, and regions work. The successful candidate will be able to either rotate through a number of roles, developing a breadth of experience, or specialise in one role and develop a depth of experience. This opportunity will offer considerable scope for innovative working and responsibility. The company is looking to expand via two main work areas: EIC (Economic Innovation and Challenge) and LCI (Leadership and Civic Innovation). The EIC looks at new ways to achieve economic independence and job creation through the market, while the LCI focusses more on the development of leadership qualities and attitudes to enable people in organisations and as individuals to become more productive, more economically independent, and for society to reclaim more responsibilities and opportunities for civic decision-making. Bridging to the Future has a need to diffuse our work and challenge existing ways of working and thinking in organisations and communities. The post holder will raise the profile of Bridging to the Future’s products and expertise within the international and national market, leading the drive for us to connect with a wider number of potential clients through designing innovative ways to engage with a variety of sectors. This is a role where the expertise in our research and development will be taken and developed to current and potential clients. The diffusion and challenge activities may include increasing income to the company, increasing client pool, increasing knowledge and understanding of our products and innovations, engaging with clients and potential clients, working on product development in the UK and Europe, growing social media presence, and innovative approaches to diffuse our work and to challenge existing norms of economic development. The training and consultancy activities will be instrumental in increasing our ability to inform, enable, professionally develop, and challenge our clients. This will have the effect of engaging with more clients, training and informing more people, and having a direct impact on jobs, income generation, business creation and economic regeneration. We expect that the role holder will engage with a range of potential clients, arranging training courses and delivering consultancy services. developing and implementing a new approach to enterprise education for the Czech Republic. The role will require hard work, conviction, ambition, confidence, adept communication skills, sound organisational skills, and a desire to make a difference to businesses, individuals, communities and organisations both in the UK and abroad. Bridging to the Future is an innovator – we are a private company, committed to making a profit but we also believe in using our talents and income in advancing our social missions of economic independence and economic sustainability. We design, test, pilot and then roll out methods to create jobs, enhance organisational and individual productivity, incubate new businesses, coach the self-employed, advance real leadership QEAS (Qualities, Experiences, Attitudes and Skills), and employability. We not only work in a variety of countries, but also in a variety of sectors including the private and public sectors, marginalised communities, the LGBT community, young entrepreneurs, and business start-ups and investment. Simply put, we identify issues and underachievement at the individual, sectoral, organisational, regional, and international scale. Then we devise and innovate solutions, test them, pilot them and finally bring them to the market and engage and inform others. We work in all aspects that improve productivity, enterprise, new businesses, and employability. 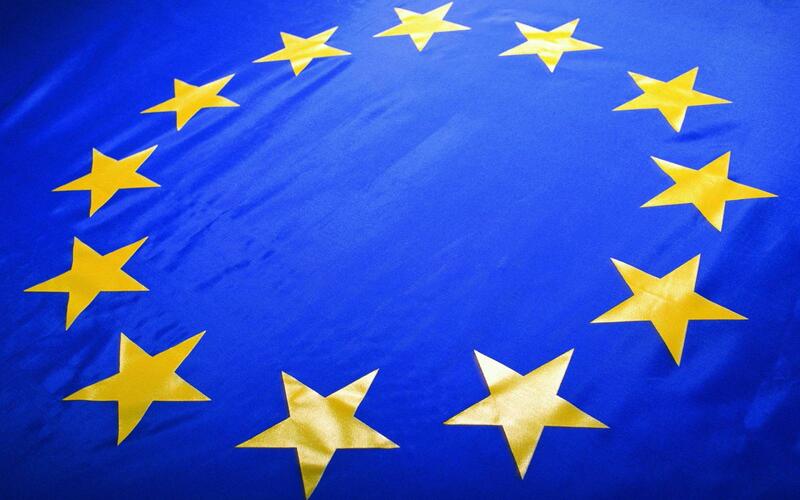 We work in twelve countries within the European Union and act as advisers and consultants to a range of organisations and companies. We currently have offices in Birmingham and London. 1) Letter of application and full CV (including the names and contact details of two referees. Applications should be sent to: daniel.theuns@bridgingtothefuture.co.uk with subject line: "Graduate Application Submission". Note: applications without referees are not processed. 2) First Interview and tasks. To apply, please email a letter of application outlining your suitability for the role and a full CV. The CV must include the names and addresses of two referees, one of whom must be a current or most recent university referee, and one of whom should be someone with direct knowledge of you in a working environment. The closing date is Friday, February 5th, 2016 at 4.00pm UK time. Read the latest blog post on Medium here. SELFY (Sustainable Enterprise and Leadership For Youth) is a European consortium focused on raising the qualities, experiences, attitudes, and skills (QEAS) of young people across Europe in relation to Social Enterprise and Leadership. SELFY is a project about enabling: enabling young people to lead and be enterprising so that they can become full, equal, and productive members of society. Based on the SLAM! methodology, developed by Bridging to the Future, SELFY is a robust and practical programme for developing social leadership and social entrepreneurial QEAS amongst a wide section of communities, individuals, regions, and organisations. Bridging to the Future has piloted SLAM! in some of the most disadvantaged areas of the UK and has helped over 1000 young people to date. These young people have run micro-businesses, community projects, youth projects, and have created paid employment through SLAM! Now, the SELFY project is a partnership of organisations from the UK, Lithuania, Spain, Greece, Poland and the Czech Republic who want to work together to take SLAM! into Europe. In January, practical delivery of the SELFY methodology will start in Athens, Ostrava, and Šiauliai. Over the past few months, the SELFY partners have conducted research on entrepreneurship and leadership of young people within their country. The research concerned topics such as socio-economic disadvantage, unemployment, social exclusion, entrepreneurship of young people, and support for the development of knowledge and experience related to entrepreneurship and leadership. · Enable individuals and organisations to move towards economic independence through running a social business. Head to www.selfyproject.eu and learn more about the project, how you can get involved, and for the full State of the Art Report. Bridging the Gap is a programme that originates from The Bridge Model. It is about creating jobs; a practical and proven framework to support new business people, new entrepreneurs, social innovators, and public sector organisations spinning out into the private sector. The Bridge Model has been successfully piloted in five European Union countries over the past 2 years, which has guided and coached over 25 entrepreneurs and businesses. The pilots and project have been supported by the European Union’s Leonardo Transfer of Innovation programme. This model is one of the practical methods created by Birmingham based social innovators, Bridging to the Future, and it delivers directly to economic independence through entrepreneurship, education, and enablement. Bridging the Gap targets all three of these aspects by fostering new business creation, individual coaching, and flexible planning; so far we have seen the creation of an educational app designer in the Netherlands, a fashion boutique in Spain, and a microbrewer in Greece, to name a few. The Bridge Model offers a framework to start and develop a business, and consists of four stages, each termed a ‘bridge’. Each step over the bridge offers support to a business person or entrepreneur and is supported by insightful advice from active Coaches, who are all contemporary business professionals. Bridge 1 takes aspiring business people from having an idea to having a business. It covers the initial questions that need to be asked such as: why is your idea a good business idea, what are the legal aspects of forming a business, what is your business plan, what do I need to run my business? This step is crucial to the idea of developing economic independence. 31% of women in the UK believe that they have the skills, knowledge, and experience to start a business. This first bridge therefore enables this large pool of human talent. A trained Coach helps entrepreneurs to personally and professionally develop and also discuss and assess the validity of their business idea. They can do this using an ‘Idea Audit’, aimed to empower these budding entrepreneurs, never shutting down an idea as being silly, incomplete, or unoriginal. Now that the entrepreneur has a business, bridge 2 involves the crucial steps to then obtaining a successfully operating business. Coaches use anecdotes of their personal experiences to support the entrepreneur through this important period. We ask questions such as: how do you identify your strengths and weaknesses as a business person, what do you need to think about in relation to cash flow, management accounts and bookkeeping? In other words, how can we ensure your business is strategically secure and economically independent? Bridge 3 is central to those entrepreneurs who are now running a viable and successful business but would like to grow it. This step often takes the longest as it requires a ‘big picture’ view and very careful deliberation as to where the entrepreneur wishes to take their business. How to develop business strategy, perform Operations Audits, finding the optimum between marketing and advertising, and putting in middle leadership structures all are found on this third bridge. Hopefully, this business in now operating on profit and can start looking at contributing directly to its local community and economy (see our SEEB series here). The role of the Coach changes slightly over the course of Bridge 4: they become a critical eye to scrutinise the entrepreneur’s plans and support them to move forward. At this stage, the entrepreneur has had their talents nurtured and developed and so the coaching relationship trends to becoming a friendship. Importantly, they appreciate the fact that the entrepreneur has a successful business and so don’t ask the basic questions. Among 12 steps are: relationships and networking, utilising personnel and human capital, and leading a strengthening business. We believe that economically independent businesses are a crucial part of creating capacity to make life, society, and business work better and to strengthen and sustain local, regional, and global well-being. So, developing these businesses remains at the forefront of what we do. The Bridge Model for Job Creation is the result of a two year strategic partnership between six organisations from five countries. The impact, learning, and future benefit of Bridging the Gap is a product of the hard work and dedication of our partners. Please get in touch if you wish to link up and work with and of these organisations. The project Bridging the Gap had been funded with support from the European Commission. This article reflects the views only of the author, and the Commission cannot be held responsible for any use which may be made of the information contained therein. of each of the projects we have been involved in so far. Municipality of Varna as a key element of their job creation strategy. Holland, a fashion boutiqe in Spain and a microbrewer in Greece. which will see individuals begin their journey to economic independence. tackle local challenges with continental learning. scene emerges on the continent. It's a more collabarative and content driven blogging platform and so we hope that, as we tour and grow, people we encounter can contribute their stories to it as well. ETOS was a two year project between 6 different countries focused on creating new ways of training individuals who were traditionally found outside of the educational system and labour market. The final products – a practical training methodology and certification system were piloted with over 100 people in the different countries and are currently used by the Province of Vercelli and Municipality of Varna as a key element of their job creation strategy. BTG was a project deisgned and managed by Bridging To The Future. The project saw 5 European organisations take our Bridge Model approach to developing entrpreneurs, adapt it and pilot it in their own countries. So far this has seen the creation of 17 businesses in Europe varying from an educational app designer in Holland, a fashion boutiqe in Spain and a microbrewer in Greece. entry point to it. The project is in it’s first year and is about to enter the pilot phase which will see individuals begin their journey to economic independence. SESAME is led by Friesland College and aims to bring together a social enterprise curriculum with a world leading approach to mentoring. It’s ultimate aim is an active network of young people, schools, social entrepreneurs and established social enterprises working together to launch social enterprises across the EU and tackle local challenges with continental learning. SELFY aims to develop a robust and practical methodology for developing leadership and social entrepreneurial QEAS (qualities, experiences, attitudes and skills) which is adaptable to multiple socio-economic contexts. Designed and managed by Bridging, and based on our SLAM! methodology this project hopes to create the next generation of European leaders in social enterprise as this scene emerges on the continent. Working in Turkey two weeks ago, I was asked in the midst of a meeting by some very gripped and impressed Dutch college staff from Friesland if I could say what ‘social enterprise’ meant. I said that there are some people who could, and perhaps have, made a career out of answering that question but for many people involved with and in social businesses I felt that social enterprises were about ethics and equality: businesses are there to make money and make a profit but it is how they make operate and how they spend their money which counts. Yes, there are lots of definitions of social enterprises, but more important are those 1000s of people who are actually doing it. We are expanding to take on an office in London! This is exciting news and a result of our increased work, especially in Europe. Our work started back in 2007 with a mission to enable people and organisations to fulfil their potential through leadership, talent pooling and start-up businesses. Over the intervening years we have listened, observed and researched to design and test a range of services, products and programmes to work with individuals, organisations, FE Colleges, universities and businesses. Our services, products and programmes are innovative and have led to the creation of new companies, the growth of micro companies, new social enterprises, embedded leadership programmes, a talent pool for schools and community groups, support for the self employed and professional development for people who want to become more effective in the work place. These include SLAM!, The Bridge Model and microInvest. During eight years we have worked across the UK (Liverpool, Middlesbrough, Cornwall, Plymouth and the West Midlands) as well as in a variety of countries including The Netherlands, Spain, Italy and Poland. Our move to London will see an expansion of our capacity to share and enable…..its a natural step for us and when we believe in passionately. We are very pleased to recruiting two new roles for BTF – both to act as consultants and enablers, with the primary focus being London and the international market. The job vacancy is below – if you feel you ca contribute to our work, do please read the information and apply! Good luck. OVERVIEW:The successful post holders will be key members of the team and will be involved in evolving society, developing successful businesses and building a dynamic career. We expect polite, intellectually curious, ambitious, hardworking, friendly, professional, team orientated, talented and articulate colleagues who share our ambition to create a more dynamic business sector which is more productive, more inclusive, more profitable and has a social dimension. Please note that both roles will require some aspects of research, project management, delivering consultancy, planning and delivering training, innovative thinking and an interest in dynamic change to the way individuals, organisations, communities and regions work. Candidates will be considered for one or both roles depending upon their talents and interests. WHAT WILL THE SUCCESSFUL CANDIDATES DO IN THEIR DAY TO DAY WORKING LIFE? There will be considerable variety and people in these roles might: identify and meet potential clients in London; develop a consultancy programme for a Local Authority and deliver it; design a new leadership module for the professional development of medical staff; project manage a programme in Europe; deliver a presentation on microinvestment in start-up companies; research the latest trends in job creation methods in England; develop and implement a new approach to enterprise education for the Czech Republic. The roles will necessitate hard work, conviction, ambition, confidence, adept communication skills, sound organisational skills and a desire to make a difference to businesses, individuals, communities and organisations both in the UK and abroad. Bridging to the Future is a radical company which challenges and reforms existing approaches to organisational and individual productivity, job creation, economic independence and economic sustainability. We has a formidable record in designing, testing and bringing to market a range of highly innovative and successful products and methods to support job creation, productivity. At its heart, the company believes in creating jobs through new businesses, active incubation, practical leadership programmes Operating on an international scale, Bridging to the Future is a micro business, founded in 2007, which is looking to recruit two graduates – either graduates in 2015 or in the past few years. Bridging to the Future is an innovator within the social economy – we are a private company, committed to making a profit but we believe in using our talents and income in advancing social missions of economic independence and economic sustainability. We design, test, pilot and then roll out methods to create jobs, enhance organisational and individual productivity, incubate new businesses, coach the self-employed, advance real leadership QEAS (Qualities, Experiences, Attitudes and Skills) and employability. We not only work in a variety of countries, but also in a variety of sectors including: private sector, public sector, marginalised communities, LGBT, young entrepreneurs and business start-ups and investment. Simply put, we identify issues and underachievement at the individual, sector, organisational, regional and international scale. Then we devise and innovate solutions, test them, pilot them and finally bring them to the market and engage and inform others. We work in all aspects which improve productivity, enterprise, new businesses, employability. We work in nine countries within the European Union and act as advisers and consultants to a range of organisations and companies. It is possible that the successful candidates can either rotate through these two roles and thus develop a breadth of experience or could specialise in one of the roles and develop a depth of experience. Both roles will offer considerable scope for innovative working and responsibility. Whilst EIC (Economic Innovation and Challenge) looks at new ways to achieve economic independence and job creation through the market, LCI (Leadership and Civic Innovation) focus more on the development of leadership qualities and attitude to enable people in organisations and as individuals to become more productive, more economically independent and for society to reclaim more responsibilities and opportunities for civic decision making. In both roles there are elements of: i)research and development of ideas ii)diffusion and challenge iii)consultancy and training. Within both roles, there will be a need to diffuse our work and challenge existing ways of working and thinking in organisations and communities. The post holder will raise the profile of Bridging to the Future’s products and expertise within the international and national market, leading the drive for us to connect with a wider number of potential clients, designing innovative ways to engage with a variety of sectors. This is a role where the expertise in our research and development will be taken and developed to current and potential clients. The diffusion and challenge activities may include: increasing income to the company; increasing clients; increasing knowledge and understanding of our products and innovations; engaging with clients and potential clients, working on product development in the UK and Europe; social media presence and innovative approaches to diffuse our work and to challenge existing norms of economic development. The training and consultancy activities will be instrumental in increasing our ability to inform, enable, professionally develop and challenge our clients. This will have the effect of engaging with more clients, training and informing more people and having a direct impact on jobs, income generation, business creation and economic regeneration. It will be expected that the role will engage with a range of potential clients, arranging training courses and delivering consultancy. To apply please email a letter of application outlining your suitability for the role you wish to apply for and a full CV (the CV must include the names and addresses of two referees, one of whom must be the current or most recent university referee and one of whom should be someone with direct knowledge of you in a working environment. The closing date is Tuesday, May 5th, 2015 at 4.00pm UK time. In Milan there was a large gathering for the GEC, 2015. The deeply impressive Kauffman Foundation help to fund and organise the GEC, which had its roots in meetings in London back in 2007/2008. The Kauffman Foundation is a practical organisation for supporting entrepreneurs, based in the USA. There were also some great examples of young entrepreneurs, such as Kanaus High School from Lithuania, Milan’s Christian Esposito and his team and the Chester based Technospark. Here were young entrepreneurs who were actually being entrepreneurial rather than talking about it or offering to support it….and that made for a refreshing change. My good friend, Andreas Stefandis was also in Milan for GEC and he is such an inspiration as he tries to build up entrepreneurship in Greece in the most difficult of circumstances. GEC had many useful and engaging delegates, including the excellent Youth Business Network and the innovative ID College in Gouda. There was a wide range of seminars on education for entrepreneurs, starting up businesses and business growth, though also some food for thought for the organisers as there might be the opportunity at the GEC in 2016 to focus more on the entrepreneurial qualities, attitudes and experiences which are required rather than just the technical skills about business. Plans to attract more actual entrepreneurs to attend GEC would also be welcome. It was also hugely useful to return to the city of Milan again – the financial centre of Italy. Its awe inspiring architecture and delightful side street culture combine to offer a visitor a varied experience, as well as plenty of opportunities to listen and talk to the locals, for example in Arnold’s coffee house and the English Football Pub. Community Central. Community Central was set up through the Bridge Model and is now a fully functioning social enterprise. The organisation was set up to support organisations in the Third Sector such as charities and voluntary groups. By helping them with new and existing income streams, talent pooling, project management and grant writing. 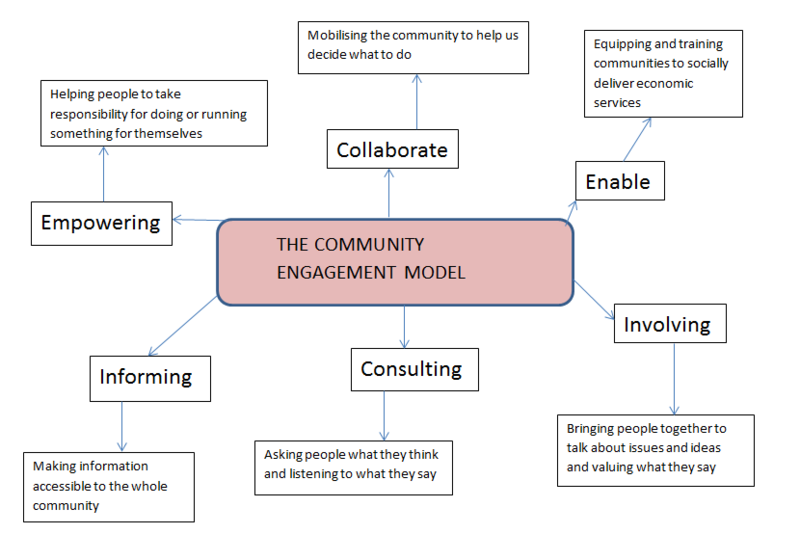 Community Central used the model to help establish itself within the social enterprise and third sector and also was able to grow its services by incorporating ideas from the Bridge Model. Shenley Lane Community Association & Sports Centre. Shenley Lane is a community charity in the West Midlands that was in a period of decline, they reached out to Bridging to the Future to see how they could use the Bridge Model to reform their organisation under the leadership of Chris Woo. Since then the charity has been able to increase its turnover by a third and offer wider services to the local community. One such service has directly used the Bridge Model to support the growth of a team of young entrepreneurs. These young entrepreneurs have set up an events business which operates out of the community centre and they have set up a catering service for the local football club. Through this these young entrepreneurs have been able to set up real businesses from the Bridge Model and have increased their skills and qualifications, such as in food catering. 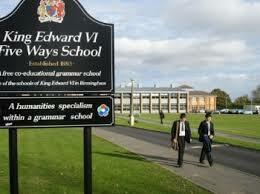 King Edwards VI Five Ways School. 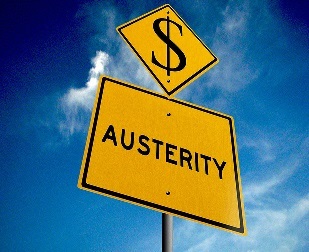 King Edwards VI Five Ways decided that in the current climate of austerity regarding cuts to educational funding that they would use the Bridge Model to increase the schools income. They decided to do this so that they could expand their capacity to support their students. They did this through by helping the students set up a small enterprise by using the Bridge Model. Their trading includes: Saturday master classes, summer activity weeks, A-Level and GCSE booster classes, October activity weeks and support for primary schools. Through this scheme the students were able to learn enterprise skills, earn a small wage, teach other students and contribute to the income of the school. More information about the model on the Bridge Model page. Bridge 1. Start my Business I have an ideas to I have a new business. This Bridge step takes an innovative person who has an idea driven by a desire for success and gives them the tailored support they need to turn it into a reality. This step involves: strong business planning, legally setting up a company, sustainable finical modelling and market planning. This step also involves guiding and advising entrepreneurs with the problems that may occur and developing solutions to avoid and solve these issues. Bridge 2 Grow my Business: I have a growing business – strengthen my business. This Bridge step this involves developing businesses to be more productive and see greater return on investment. The focuses is on building up capacity in five key areas: turnover, profit, location, existing and ne services and products and brand identity. This Bridge step is adaptable to various scales. Bridge 3 Strengthen my Business: I have a growing business – strengthening my business. This step is applicable to business that are well established, it involves planning for the future by looking at new opportunities and building up strength to deliver within an organisation. This focus is on developing four key areas: leadership and management, project management, economic management, optimising profit and development of human capitol. Bridge 4 I have a growing business: I have a sustainable strong business. This demonstates what a business should look like after achieving the other steps in the model. This model has been successful used and is being used within our incubator. One such business that this model has been very applicable to is Exam Central. Exam Central was a business idea that young entrepreneur Ben Inshaw had developed, which was to support young throughout their time in education by helping them develop their talents and knowledge. Ben as part of the Bridging to the Future Incubator used the Bridge Model to develop a tutoring business that gave students the support they needed and provide specialised expertise to do school interventions. Ben used each of these steps to accomplish this. Exam Central is now in its third year of operation and has supported over 2000 young people in the West Midlands region, the company is now looking to expand its services to Manchester and to Zagreb in Croatia. The company has also has had real growth and has had sustainable turnovers and has a very promising future ahead. The Bridge Model has also been adapted and used in schools through teaching young people the skills needed to build a real business in their school which is trading. Likewise the European Union recently invested €500,000 in developing the Bridging the Gap project which fundamental uses the Bridge Model to develop entrepreneurs and small business in Europe. The purpose of which is to help overcome unemployment issues. The Bridge Model overall has shown to be an effective tool for business creation and support for developing entrepreneurship. More information about the model can be found on the website at the Bridge Model Page. Our recent trip to Zagreb was one of discovering multiple opportunities, finding new innovations and building relationships. We were able to meet with Impact Hub Zagreb, SEECEL, ZIP Incubator, Social Innovation Laboratory, the British Embassy in Croatia and the VERN the University of Applied Sciences. From them, and our observations of Croatian life and culture, we learnt a lot about the business opportunities that exist in this new EU country. Croatia as a whole has an actively developing business sector, which is reinforced by it’s highly educated workforce, most of who have outstanding English. The business sector is working to overcome the legacy of the socialist era something which is injecting life into the development of entrepreneurism, particularly among young people. There are many impressive people and organisations who are having a real impact on evolving the business sector and are developing opportunities to allow Croatians to create businesses. ZIP has been developing new entrepreneurs in the technological sector in Zagreb, recently taking on nine new entrepreneurs. The ZIP incubator works on the principle of mentoring entrepreneurs, developing business models and providing a strong network for them. They also create a review system that monitors the progresses of the entrepreneurs with a review after the first three months to decide on their future direction. Most of their entrepreneurs are either at University or are graduates whose ideas are centred around apps, telecommunications and new technologies. We found it very exciting to see how they have created such a strong incubator of very innovating entrepreneurs. We are also honoured to have our Managing Director, Duncan Chamberlain be invited to go back to Zagreb and speak at their incubator conference. We were delighted to meet Impact Hub Zagreb and there Managing Director, Hermes. They are part of the global incubation hub, Impact Hub, which creates a co-working environment, with working space, meeting rooms and a networking opportunities. This physical space can be hired for any required period of time and also it allows entrepreneurs to tap into their international entrepreneurial community. We found it really useful to see how Impact Hub operates differently and similarly to our own and brought back plenty of ideas from our two meetings there. We also met with the British Embassy in Croatia and one of their senior staff, Martina. It was great to see that the British Government is committed to British businesses investing in the country and bring Croatian business to the UK. The Embassy offers services including arranging meetings for individuals and organisations, networking you with the most appropriate people for your business and advice about the Croatian economy. They offer insightful advice to business who are looking to start up in Croatia or invest there. SEECEL are a wider organisation who are committed to enterprise education, they work not just in Croatia but also in the wider region of South East Europe. They bring enterprise to schools and other parts of the education sector. They develop the enterprise skills of young people. We were able to share the work we do in schools about creating real enterprises for young people in schools which develops their entrepreneurial abilities. It was great to share our ideas with each other. We also met with VERN the University of Applied Sciences and met with Professor Coric and Ms Liha. This is Croatia’s largest private university, they take a very practical approach to learning. They include models of business incubation and employment generation in their courses. We had some great discussion about our business models and how they could be implemented into universities. They have also invited Duncan to come back in spring to meet with some of the students and deliver some lectures. This was fascinating and lovely discussion, which we look forward to continuing. There was a fascinating and lively discussion, which we look forward to continuing. Overall our trip to Croatia was very successful. We learnt a lot about the country and the work that is going on to support entrepreneurs as well as discovering the many opportunities this nations has. 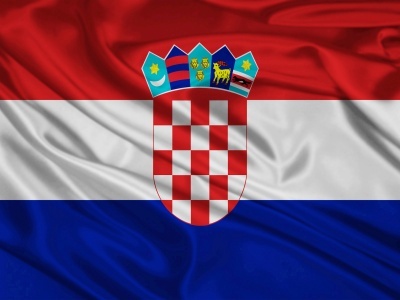 We would recommend organisations to do the same as us and explore new opportunities overseas in countries like Croatia. Zagreb itself was impressive in its architecture, style and ambiance – it was a sociable city with friendly people who were open and helpful to us. Thank you! 2013-2014 marks the fourth year of our Graduate Internships in Schools Programme GISP). Three schools in the West Midlands are participating in the program with seven interns who have started at the beginning of the new academic year. The internship's duration is for a full school academic year and is aimed specifically at recent graduates who are genuinely interested in teaching or working with young people. This is a full time, paid internship which gives the interns the experience of hands on work and real responsibility of working in a school whilst being able to learn from experienced staff and to develop teaching experience, skills and qualities. The internship is an extended taster of the work of a teacher and provides the interns with the real responsibilities and opportunities to develop responsibilities and to show initiative and anticipate need. Additional responsibilities tailored to the interns talents and abilities. GISP, created by Bridging to the Future MD, Duncan Chamberlain, is ideal for those who are considering formal teacher training courses such a PGCE as it gives them a real opportunity to gain experience, learn more about teaching and to be more informed about their future career options. As a result 90% of the students involved in GISP go on to teaching or in a youth work career, and 100% of them have all found full time employment. The programme has been running in the West Midlands in Wednesbury, South Birmingham and Dudley. Three additional schools have signed up to the programme for the next academic year. We are looking to expand this program to help Schools fill there staffing shortage needs as well as giving newly graduates more opportunities to get into teaching and youth work. Many schools try to promote enterprise, leadership and entrepreneurship to their students, often through offering short training course and by Business Studies into the curriculum. However, Duncan Chamberlain who is a former Deputy Head and founder of the Bridging to the Future Incubator, has found a new and effective solution to teaching young people real enterprise. The solution is to allow these young people to create an actual trading registered company and provide them with the supportive mechanisms to achieve this. The purpose is to create a rewarding practical way to enhance students QEAS: Qualities, Experiences, Attitudes and Skills. The first stage is giving the students business scenario based activities that allow them to build and develop their own awareness of business practicalities, confidence to be creative, and qualities and attitudes needed in business. Second is project design and implementations a small project to build on the foundational training e.g. creating team polo shirts; planning, designing and ordering them. Thirdly to develop actual enterprise ideas that are tradable and able to deliver benefits to the local community. Creating the business and putting their ideas into action. The step by step approach coaches the students so that they are prepared to take on the challenges of running a small micro enterprise. In the first year of it operating four schools have been in involved in the program King Edwards VI Five Ways School, Shenley Academy, Stuart Bathurst Catholic High School and Lordswood Boys School. Some examples of the type of student enterprises that have been developed are: Catering for a local football team, summer activity weeks for junior school, sports master classes, master classes in art and science and financial literacy session. In the coming year there should be four more student enterprise projects including maths master classes, water sports classes, rock climbing classes and a youth club. The Enterprise in Schools project has so far coached 140 children in its first year of operating and it is expected to make £100,000 over the next school year. The key aspects to this is that the enterprise are run and led by students giving them a range of responsibilities including project management, personnel management, project delivery, marketing and resourcing. All the enterprises operate traded activities and the students get paid by the enterprise. Each enterprise is a social enterprise which gives something back to the local community, teaching the students the importance of ethics. The main goal is to provide real life business experience for these young people so that they become more employable and develop their own entrepreneurial and business skills. They will hopefully develop as people as they are enabled and empowered, which gives them the confidence to be creative and to take managed risks without the fear of the consequences. Membership of the European Union gives the UK the opportunity to reach new markets, in new ways and with fewer barriers. These opportunities are expanding as a result of more countries joining the EU, as Croatia has in 2013. Bridging to the Future has keenly followed developments in ‘Eastern EU’. This is one part of the Union which is both developing and emerging, and BtF has seen this particularly in the Micro Business Sector in Slovakia and Lithuania. Slovakia has some great unique assets which makes it a country full of opportunities. One of the nation’s key assets is its highly educated workforce. Since the end of Communist control, there has been significant investment in education and as a result Slovakians have a good standard of English. This enhances the country’s attraction for UK companies, especially when combined with the positive work ethic and entrepreneurial spirit which is so evident in centres such as Bratislava and Nitra. BtF has first-hand experience of this, particularly among young people and as a result BtF has invested in young entrepreneurs in the city of Bratislava. This new enterprise involves a group of three young graduates who have very recently created their own micro business doing personal fitness training. The business is in its early stages, but early signs are very positive and there are hopes that it will eventually expand by employing more trainers and in time will offer health projects. Lithuania is another eastern European country that BtF has invested in. Very recently BtF started a venture the city of Siauliai by partnering with a small company to form a new business that brings support to young people who want to enter the workforce. The idea is to create a social enterprise that does project management and website design, and incorporating this with vocational training programs. One aim of the work is that some of the young people that will be supported in through the social enterprise may want to establish their own entrepreneurial ventures. It is evident that in Europe there are lots of opportunities for small business particularly in Eastern Europe. Therefore SME’s should look to visit these places and see what the opportunities are as well as keeping their eye on the new EU member countries. BtF is traveling to Croatia this month to see what opportunities lie there. 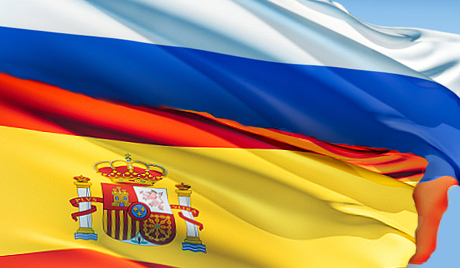 Working in both Russia and Spain is exciting and rewarding – social innovators and entrepreneurs should relish such a challenge! Bridging to the Future has expanded its geographies of developing social enterprises and building up young entrepreneurs by reaching out to an overseas market in Russia and Spain. BtF has been helping young entrepreneurs in Russia by partnering with two of St Petersburg’s leading universities, the St Petersburg University of Humanities and Social Sciences and St Petersburg State University, as well as with the Russo British Chamber of Commerce. This partnership is focused on providing opportunities for young people to interact with business and use the expertise of these universities as an anchor for that business creativity. BtF has also invested in developing a number of micro enterprises in Russia, one of which is made up of university undergraduates who have developed a pop-up clothing shop. This pop-up business helps young people learn entrepreneurial and business ownership skills in a small way without intense pressure of running a full time business. These projects are built upon creating opportunities for young people to become entrepreneurs. Another micro business that has been developed is a ‘Top-up Terminal’ business. In Russia to pay for bills like gas, electricity and water most people do it via a terminal that is similar to a cash machine and BtF uses these terminals to sell advertising space. BtF is developing in the future more of these social enterprises including a taxi service specifically for the 2018 world cup and an English Themed Bar. Spain has a very strong business incubator sector and the Bridging to the Future model for business incubation was developed after visiting incubation in Spain e.g. Barcelona Activia. Barcelona Activia is a strong business incubator which acts as a one stop shop for business ideas to be turned into businesses. It is these models and incubation investments in entrepreneurs which is becoming the solution to Spain’s austerity problems. In addition, BtF has been working with Spanish multinational Everis to help make micro social enterprise become a driving force in Spain’s economic recovery, by using social innovation to help fill the gaps in public sector funding. This work has been fascinating to learn from and has been mutually beneficial to all. Our goal is to continue this work. Hopefully other will join us. Like Russia and Spain overseas. Globalisation has rapidly become established, including a more integrated European Union and a world of ever greater interconnections. Consequently, new opportunities are arising for businesses not just for large corporate firms but also SMEs, Charities and Social enterprises. There is an emerging belief that there is potential for more and more business overseas, and as a result SMEs such as our organisation Bridging to the Future have invested in micro enterprise abroad and are encouraging others to do the same. We have taken our model for business growth to a number of countries internationally, particularly the Bridge Model which seeks to build up new & young entrepreneurs and also bridges gaps and helps make up the slack in public sector services. Very recently we have been able to plan the implementation of the Bridge Model directly in Europe by partnering with the European Union Commission on the ‘Bridging the Gap’ project. The EU has approved this €500,000 project to help support disadvantaged people to initiate and create their own enterprises. The project enhances both their capacity and capabilities to achieve this. We have been developing businesses and planning new ventures outside of our EU work as well, for example in Greece we are working on a grassroots alternative to mainstream tourism. The business aims to create a community based led tourism where the community provides the hotels, local tours, leisure facilities and hospitality e.g. local cafes, restaurants etc. The project aims to unite these local services under one umbrella and offer a unique and high quality locally based tourism service. In Italy we are advising on a new alternative therapy service, different to the traditional sociological methods, called philosophical therapy. The idea of this therapy method is to help people by giving them greater purpose and ambition. Both of these business projects are benefiting communities and partner with specialist people in those countries. They key to making international business happen is to take time to listen and understand the international markets and then take the strengthens of your business and offer them to an overseas market. These strengths should be adapted to that market with appropriate people in those countries leading them. Consequently, an opportunity is created to help build a profitable base overseas and create more international opportunities. One Bridging to the Future’s young entrepreneurs, Ben Smitton, has been developing his ideas for supporting the Lesbian, Gay, Bisexual and Transgender community with their economic wellbeing. It’s Ben’s passion to develop a business incubator that supports LGBT people who want to establish their own business but are facing barriers to do so because of their sexual orientation or gender identified orientation. The plan aims to focus on young disadvantaged LGBT people, helping them to get their foot in the door of the job market and into business. Ben wants to use Bridging to the Future’s incubator model (The Bridge Model) to create opportunities for the LGBT community. The idea is to support these young LGBT people with their economic security in order to help prevent potential detrimental effects on their overall wellbeing. Vision Creators: articulating the direction that the business should be taking and making employees feel inspired and enthusiastic about it. The most successful leaders have a clarity of communication to their employees and their stakeholders, which distils situations into straightforward clear actions and a common purpose. Change Implementers: taking their ideas and turning them into actions. Effective leaders make clear what needs to be done and are flexible on how it is done. Leaders are aware that problems will occur and that they must be overcome, and anticipate that some changes come sooner than others. Decision Makers: Discernment and good judgement is needed when deciding to make a decision immediately or whether and how to consult others. Discussing, listening and questioning are vital for making accurate decisions, particularly when the impact is long-term or is on a significant scale. Team Builders: a calm management style, supported by positive supervision. This builds confidence amongst the workforce, particularly when full credit is given to an individual when they succeed. This helps boost a company’s productivity and is essential of change management. Leaders bring ideas and new light to a company which they initiate and develop into a company’s working practices. They seek out new opportunities and transform business when it is needed. Therefore companies should be looking to build up these types of leaders and this leadership skills. In this climate of government funding cuts and austerity the third sector is being put under increasing pressure. However new and innovative solutions to these issues are being solved by a new generation of social entrepreneurs. Young social entrepreneurs are taking on risks, often financial, to pursue their pioneering solutions to a social problem in their community. These young people are age 16-25, they are utilising both their passion and creativity in order to achieve a sustainable social good. So what makes a young social entrepreneur? A young social entrepreneur has a set of skills and characteristics that become the core foundation of their enterprise. These skills and characteristics include; having vision and strategic thinking. A clear vision is essential because it sets out what the social good the entrepreneur seeks to achieve, this must be supported with specific ideas of how to accomplish this. They must have excellent communication skills in order to share their idea effectively and engage others with their cause. Networking and interacting with others is an important part of this. Self-awareness is necessary for a social enterprise as it grows, continuous evaluation allows the organisation to both evolve and align itself with its core mission. Drive and determination is important characteristic as challenges and obscurities arise, many social entrepreneurs had their initial ideas many years before they came to fruition. Having energy is vital in the busy climate of running an organisation, enthusiasm and excitement can be a useful source of boosting one’s self and increasing the productivity of others. These qualities in young social entrepreneurs become the building blocks for solving social problems and developing sustainable solutions. Micro enterprises are an essential part of the UK economy making up 95% of business in the UK. Britain sees up to 500,000 new micro business start-ups annually. Micro businesses generally have 1-9 employees, providing a wide range of provision of goods and services to their local areas and come in a variety of forms. A quarter of micro businesses are sole traders, self-employed and free-lancers. The four key motivations that these type of business owners have are: freedom, independence, more challenges and more money. However, what makes a micro enterprise become a micro social enterprise is a change in its core objectives towards creating a social good as well as a financial return. Building Micro Social Enterprises can help strengthen an already existing micro enterprise sector and can help this sector become more dynamic. Also, in this economic climate of funding cuts and scaling back of resources to the third sector, social micro enterprises can help fill that gap and have an impact on communities which is long lasting. Micro social enterprises are crucial for the future of the economy, yet seem to lack a wider recognition in the business and political world. Communities are the key tool to help organisations deliver their services and products. Communities are a talent pool of opportunity, which if used appropriately can mutually benefit the community and organisations which deliver services to communities. However, the key for any type community involvement is to have an effective ‘community engagement’ plan which is sustainable and genuine. Be clear about the purposes and goals of the engagement effort – what will it achieve? Who will benefit? This should help create a combined approach when delivering goods and services. Additionally, it will benefit the community and organisation producing a social good. This approach will help enterprises, charities and volunteer groups become more dynamic. In addition, it can help to fill a gap in local services and needs where national and local governments are being put under pressure. Fourth ETOS project meeting a great success! Bridging to the future has just returned from the fourth transnational meeting of the ETOS project which was hosted in Lithuania. The partnership, consisting of 7 different EU nations, has been working for over a year to develop a pan-European methodology and solution to engaging and training disadvantaged individuals in necessary enterprise skills. The ultimate result being increased employability and employment in the host countries. One of the key objectives of the fourth meeting was to evaluate how the ‘training the trainers’ section of the project had progressed in the individual partner countries. ‘Training the Trainers’ is the ETOS methodology for preparing the staff of the enterprises to train the disadvantaged individuals within their companies. Here BTF has taken the innovative approach of engaging with South and City College Birmingham to combine the enterprise skills support offered by the ETOS project with the launch of ‘The Women’s Enterprise Hub’ in the city. A partnership Bridging to the Future are enthused about developing further. The second key objective of the meeting was to ensure all partners are on track to deliver the upcoming ‘pilot phase’. This will see the trainers we have previously trained engage and develop the disadvantaged individuals within the companies. For Bridging to the Future this will see us working closely with a diverse range of Bangladeshi and Pakastani women at the college, local young people across South West Birmingham and unemployed individuals. The goal here is to leave these individuals better able to find or create jobs and increase the employability of Birmingham’s citizens. ETOS has proven to be a very interesting, dynamic and stimulating project thus far for Bridging to the Future and we welcome the chance to discuss it with other interested parties. We encourage you to investigate the project further at www.etosproject.eu or contact us directly using the details on the website. UK employment hit the highest level in more than four years in August and jobless claims fell by the largest amount in over two years, suggesting an Olympic boost and raising hopes that the job market is improving. The office for National Statistics has stated that in the quarter to July the number of jobless people fell by 7,000 while the number of people claiming jobless benefit fell by 15,000 last month to 1.5m. Recent surveys have indicated that firms are planning to step up hiring in the months to come despite an uncertain economic outlook. The government is hoping that private companies create enough new jobs to balance the job cuts in the public sector, which are part of the tough austerity programme. But the so-called "Olympics effect" masked a less rosy picture outside London, with some regions suffering hefty rises in unemployment. The figures show that outside London, unemployment rose by 23,000 in Yorkshire and Humber in the three months to July and by 16,000 in the West Midlands. Northern Ireland was also badly affected, with 10,000 more jobless in the quarter. There are also fears that there could be an Olympics hangover now that the temporary boost from London 2012 is over. Samuel Tombs at Capital Economics said while the headline drop in unemployment was encouraging, the detail of the ONS report showed a "less impressive picture". He said that other recent employment surveys suggested many of those taken on for the Olympics "will struggle to find work now that the Games have finished". John Walker, chairman of the Federation of Small Businesses, said that ‘policies targeted at stimulating job creation, such as extending the National Insurance contributions holiday, are needed to give small firms the confidence to create full-time positions and take on staff," he said. In addition youth unemployment rose by 7,000 to 1.02 million in the three months to July - an "uncomfortable" figure, according to Philip Shaw. One solution to the unemployment crisis is through the help of micro and small business, charities and the Third Sector. Many small businesses need to look at the field of youth as a resource to utilise and engage with. However this is proving particularly difficult when small businesses and the Third Sector are not fully supported by the government. Big Society Capital has recently published a governance document outlining the social criteria a company will need to fulfil before it can receive investment. According to a blog written by Nick O’Donohoe, Chief Executive of BSC, the "vast majority" of Big Society Capital investments will be in regulated social sector organisations. However in his blog, he also state that it "would be wrong to completely exclude companies that seek to create significant social value but have organised themselves as for-profit companies. He said that BSC would permit some of the intermediaries it invested in to provide funding for for-profit companies so long as those investees met several criteria, including: having an asset lock; objects that made it clear it was "primarily concerned with providing benefit to society"; a constitutional requirement to exist for social benefit; safeguards to ensure its social mission continued in the case of an ownership change; and remuneration levels that "reflect social sector norms". Several commentators have speculated previously about whether BSC would apply a more liberal definition to the kind of organisations it could invest in, including companies that do not have any protection of either assets or social purpose written into their constitution. Jane Tully, head of policy at the Charity Finance Group, said that O’Donohoe’s comments would reassure many within the sector. "Broadly we welcome the clarity provided by BSC’s definition of a social sector organisation," she said. "This gives some reassurance that the majority of investments will go to regulated social organisations. "The criteria for for-profit organisations, and BSC’s clarity about its purposes, makes it clear that charities are being placed at the heart of this market." The third meeting of the ETOS project, which will be piloted in 90 different organisations across Europe, recently took place in Athens. BtF’s Duncan Chamberlain and Dan Zastawny both attended the meeting which focused largely on the training methodology created by BtF. The methodology designed by BtF focuses on collaborative and innovative ways of uniting unemployed individuals with local entrepreneurs so there is practical, accredited workplace training, ultimately leading to the unemployed individual gaining certified skills and greater opportunity and ability to gain employment. This methodology will be utilised by all project participants in 6 different EU member states and following on from these pilots, will be developed into a EU endorsed training approach and methodology. Our Director Duncan Chamberlain recently visited London and meet with 2020 Public Services Hub to discuss the delivery of public services in times of austerity and cuts to every public services. The 2020 Public Services Hub is a new independent think tank and registered charity based at the RSA. The 2020 Trust aims to research a deeper understanding of the challenges facing public services in the medium terms in times of economic recession. It aims to develop rigorous and practical solutions capable of sustaining support across all political parties. The 2020 PST is not aligned with any political party and operates with independence and impartiality. BTF looks forward to developing a stronger relationship with 2020 PST and offer advice and support in order to develop some more ground-breaking research. BTF continues to work on the ETOS project, to develop sustainable solutions to long term unemployment. The aim of the ETOS project is to create an innovative practical training model, which will allow on the job learning and skill those that have been on long term unemployed. ETOS project understands the difficulties that people with learning disabilities, former drop-outs, and migrants might find themselves missing recognized skills, as they have not able to gain standard certified skills. Therefore the ETOS project aims to create a practical training model which will not require classroom attendance, but will allow on the job learning through practical. As a result the ETOS project will develop a new EU skills certification based on an innovative evaluation model in line with ECVET system requirements, awarded at the end of the training. BTF looks forward to working on the ETOS project and will be flying out to Greece in September to continue developing an even stronger partnership. Unemployment has increased by 155% since 2008. Consequently 20% of today’s youth are out of work, a figure which is estimated to rise. The graph below clearly shows after a steady decline through the 1990’s and a plateau in the first half of this century, there has been sharp, dramatic rise in unemployment since 2007. This rise has coincided with the global recession and its aftermath. There is great concern for areas like Ladywood in Birmingham, which is recorded to have the highest level of youth unemployment in the UK. Also Rugby in the West Midlands was seen to have the largest rise in youth unemployment within one month, a 12% rise. Graduates similarly are struggling in finding employment, particularly employment opportunities that meet their skills base, 21% of graduates are working in part-time work or going on into further study and about 3.5% of graduates are currently unemployed. One solution to this crisis is through the help of micro and small business, charities and the Third Sector. Many small business need to look at the field of youth as a resource to utilise and engage with it. Young people’s lack of experience is often seen as a barrier for them to enter into the workforce and as a result other skills young people may have that could benefit a business may not be considered. Companies that actively seek to employ students and graduates under the age of 25 in order to produce a youthful and innovative workforce benefit from having fresh skills that have developed and adapted new and effective ways of working. This has brought about a new host of innovation and entrepreneurial vibrancy, which consequently boosts productivity and helps establish new businesses. Small business, charities and third sector groups should seek to employ young people and adopt new government schemes, like Nick Clegg’s £1 billion investment scheme that provides subsidies for hiring young people, so that they too can benefit from the great resources young people have to offer. Tackling this issue is important for making our next generation successful. grant research: there are 100,000s of potential sources of income for voluntary groups, community groups, schools and charities. volunteering: there are three significant untapped resources of volunteers-the retired, the unemployed and students. With training, they can be invaluable and inspired additions to an organisation. building capacity: making use of social enterprises and charities who can offer high quality support and direct services at highly reasonable prices. Schools, the Third Sector and voluntary groups take note – Fight Back! Don’t let the cuts stop the great work you are doing. HMRC, are increasing the scrutiny and investigation frequency on the SME and micro business sectors. There is a concern, from HMRC, that small businesses are paying to little tax.. There is evidence that HMRC are homing in on checking newly established businesses, part of a strategy to more strictly enforce their requirements of all businesses maintaining accurate and adequate accounts.. New businesses should be aware of the potential consequences of not having tax accounts in order, with considerable potential disruption, time and, stress impacts as well as fines of up to £3000. Needless to say, fines of this magnitude can be a significant loss for SMEs and micro businesses. However there is growing political and business pressure on HMRC to treat small businesses fairly and as a result the HMRC is trailing a mediator scheme in the North West of England and North Wales. The Scheme is called ‘Alternative Disputes Resolution’ (ADR) and will help to resolve tax disputes for small business without having to go through a tribunal. The aim is to help tax problems to be resolved and to do it in a time and cost effective way. Earlier pilots have concluded that it allows both bodies to understand what the HMRC positions are and how to meet the requirements, therefore benefiting in the long-term. Also HMRC are using this scheme to learn how to work better in understanding the tax needs of SMEs. Hopefully this pilot will be successful and be implemented nationwide and will help new small business have one less challenge to tackle. This is a most welcome development by HMRC and illustrates their growing willingness to work with new businesses and offer advice before sanction. The Deputy Prime Minister Nick Clegg has put forward a similar initiative to what Labour have proposed, this call for more responsible capitalism. Clegg’s focus has been to promote greater employee shareholder ownership, following a similar co-operative led business style. His aims and objectives behind this is to “unlock growth” and use this as another method to get the economy engine starting again. The process of employees being involved in the ownership of the business that they work for, creates for them greater incentive to put a bigger input into the business. The consequence of this is seen to create a more productive business where there are lower numbers of staff turnover, low absenteeism and lower production costs. Also employees are seen to gain from greater employee benefits and higher wages. Nick Clegg s said "Employee ownership can also help fulfil the increasing desire we have for more influence in our work so as to unleash our potential and productivity". The subsequent benefits for businesses are that they are more effective in becoming successful and established such as ‘John Lewis’ and there is greater benefit for the workforce at the same time. The Government’s objective for greater employee ownership is impart part of their crack down on ‘crony capitalism’. Part of this could be seen to be a response to the continuing occupy protest and as a result the government having to look at giving shareholders more power over executive pay. This employee ownership is also part of a similar strategy which Lib Dem Business Minister Ed Davey is currently layingout. His aim is to help remove the barriers that prevent employee ownership. This new drive for great employee participation in business is a positive one as it helps to develop better business for the future. Dan Zastawny of BtF has just returned from Lodz Poland where he has been discussing with our ETOS Project partners the development steps that are going to be taken for the project to get underway. ETOS stands for “Effective Training for Outsiders of Society”. The strategy the team have undertaken is to help marginalised minority groups who are made up of people that are unskilled and consequently workless. These minority groups are extremely diverse; ranging from school drop outs, immigrant groups and those without any formal qualifications. The ETOS team are outlining creative and effective ways to develop stable jobs and employability skills for a lifetime. The strategies that the team are formalising will help minorities engage with employment by focusing on building skills through on the job training. Skills for these individuals will be gained by practical work and further developed by a mentoring scheme. The mentoring scheme is a setup of mentors who will train entrepreneurs and support them when they take on minority individuals. The entrepreneurs will pass on their skills and experiences to the unemployed so that these individuals learn in a way that will benefit their employment for the long term and not the short term. The meeting established that the official strategy for the ETOS plan and decided that the Pilot will start in 2012. The project looks to involve 90 stakeholders in 6 EU countries, with 144 beneficiaries. The business community is often seen to have certain sectors of society over populating the business landscape and entrepreneurial leadership. This has created a stereotypical idea of what a business person should look like and what they shouldn’t look like, which is shaping the orientation of the business environment. These perceptions have created a void and formed social barriers and levels of exclusion for minority groups. Society today has progressed in reducing negative perceptions and stopping discrimination particularly through the work of policy makers and business leaders. However misrepresented perceptions of minority groups do remain. It’s our ambition to further help reduce the stereotypes that are given to minority groups and to break down the specific barriers that prevent them from participating fully in business. We are looking to build relationships and networks with ethnic minority groups, LGBT groups and disability groups. What we aim to do is help create opportunities for people in these groups to be able to exert their entrepreneurial skills and establish businesses. Furthermore we want to support them as their business grows and through their involvement in business encourage an anti-discrimination attitude within the business landscape. At BtF we believe that we have the right services that would benefit these members of minority groups who are seeking to establish a business. It’s our aim to use our business incubation support to guild minority entrepreneurs in there running of their businesses as well as linking them up with the relevant people that would push their business forward. Also we hope to use our grant services to apply for funding that we could use to help and encourage minority groups to become involved in business. Not only are we looking for new minority entrepreneurs but also existing minority entrepreneurs who may need business support or who are willing to network with us and become part of our mission. For us at BtF we believe that it is important to have a diverse and expanding business environment where diversity and equality can be seen at the very top of the business ladder. Edge Partnership and SSAT have been working with BtF’s project management and support team in running the EDGE & SSAT innovation and leadership hub. This hub has been developed for the West Midlands region to provide a social enterprise solution where by schools are working together to meet a local need. The hub does this through providing high quality CPD training which mainly has a focus on building up middle leadership. The hub takes a strong approach on ‘teachers teaching teachers’ this provides effective training and allows for the best and most vital experience to be applied to the training programme. These CPD course work in both twilight and school visit sessions and are taught by head teaches from some of Birmingham’s most achieving and transformative schools. We at BtF are proud of the developing achievements this SSAT hub has and is provided in our region of the country. Bridging to the Future’s expansion of its income generation and fund raising services will offer a greater ability for social enterprises, schools and charities to create the income streams to enable them to deliver programmes and projects that will benefit communities and individuals. Bridging to the Future delivers coaching, guidance and support across the complete process of income generation from identification of needs through to delivery. Their services include concise auditing of needs, specialist fund locating, grant writing and expert coaching in grant writing. BtF has already built successful relationships with a range of charities and schools, including the Edge Partnership of Schools and King Edward VI Five Ways to generate significant income to enable often ground breaking work in some of our most disadvantaged communities. With a particular focus on coaching other organisations in their successful grant writing methodology and fund raising approach, BtF continues to help local social enterprise expand through credible, trusted and practical services. Duncan Chamberlain has just returned from his 3rd visit to Russia this year, where he has been working to develop a greater understanding of Russian life and business. The development of micro businesses led by young Russian entrepreneurs was at the heart of Duncan’s latest visit to St Petersburg. He also enjoyed highly constructive meetings with the international exhibition centre, LenExpo and St Petersburg University of Social Sciences and Humanities. BtF has been developing a number of ways for the Third Sector to develop more capacity and freedom in these times of economic hardship. The resource optimisation service looks at using the resources that organisations already have and how these can be harnessed to support the work of organisations to increase income streams or reduce costs and at the same time enhancing the services to the community. Bridging to the Future’s development has been considerably enhanced by the recruitment of three new members of staff: Dan Zastawny, Ed Aston and Ben Smitton. Dan, Ed and Ben will add to BtFs ability to deliver on a wide range of services. BtF is delighted to have won a European Union contract which will commence delivery this November. The contract, which will see BtF design a innovative solution to long term unemployment, and will involve working with 5 other EU countries. BtF is delighted to be part of this consortium. Duncan Chamberlain, Bridging to the Futures Managing Director met with the minister for Civil Society (Nick Hurd MP) in May to discuss the development of business hubs and incubators as a means of offering sustainable and credible support for new entrepreneurs and social entrepreneurs. The meeting – which was without officials and a face to face meeting including Cannock MP, Aidan Burley – discussed how to engage with social enterprises and new enterprises. The Big Society label is new. Successful social action, rooted in our communities and delivered locally, is not new. We have a proud tradition in this country of voluntary and charitable groups delivering essential services for both social and economic benefit. The Big Society needs to be based in, and to grow from, this astonishing depth of expertise out there. The Government needs trust these existing groups and let them carry forward this revolution. Street Level Big Society Hubs should be the delivery and strategic centres of the Big Society reforms. These would be based on existing , successful organisations which would grow capacity from where they are now - there is no need to invent and impose new structures but in the spirit of localism, let Hubs evolve and flourish. The Big Society needs BOTH local coordination and a source of expertise to support the growth of social enterprise and the transition into trading off public sector organisations. Both of these functions fall to the Big Society Hubs. The hubs would be, literally, shops on the street – bright, active, call in centres with real businesses advising and coaching other businesses and offering the co-ordination to allow the Third Sector to bid successfully for work. A one stop shop for social enterprises, start-ups and growing businesses so that there is a person to person and on-going expert coaching to allow the transition to the big society.